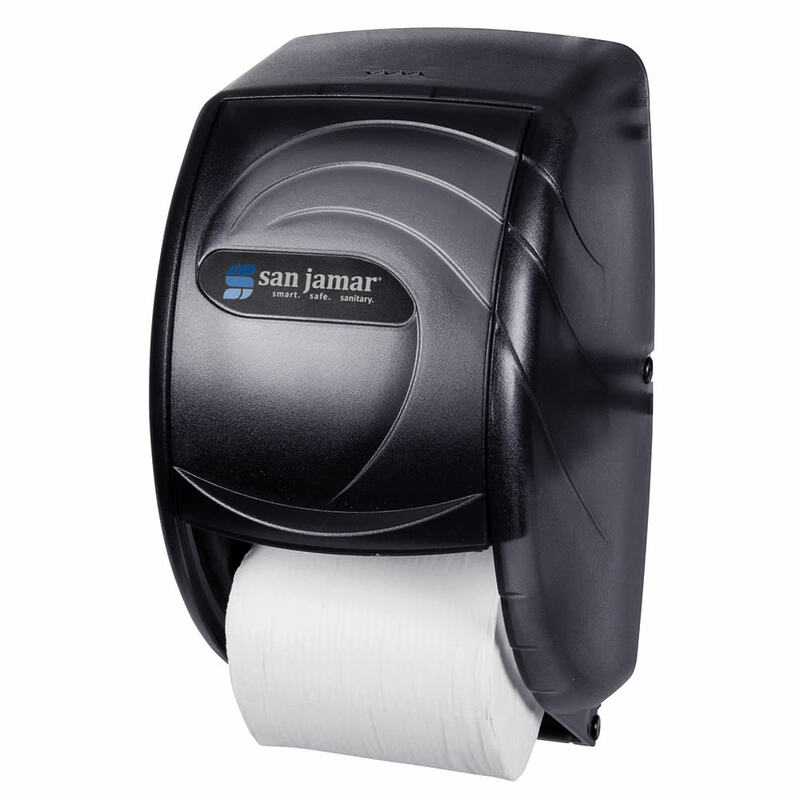 The San Jamar R3590TBK bath tissue dispenser accommodates two 41⁄2-inch to 51⁄2-inch rolls. 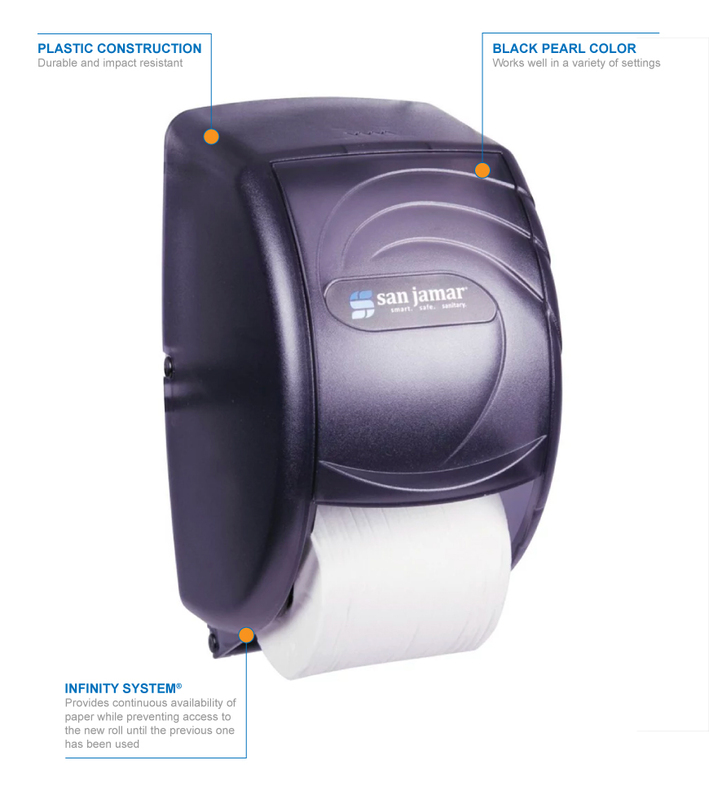 With its Infinity System®, tissue is always available, and access to the spare roll is limited until the first roll has been used. Its heavy-duty plastic construction resists damage from impacts. Blending into a variety of themes, the dispenser comes in a translucent black pearl design. Minimum roll core diameter: 15⁄8 in.